AT° Design Studio builds professional web sites for small businesses and individuals. Building a web site, like a house, requires planning in order for it to be successful. During our web design planning process, we will guide you through a detailed process from creative brainstorming to design and development. 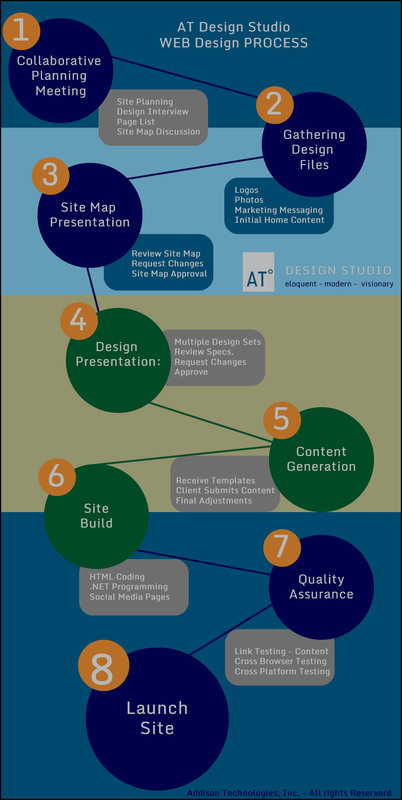 This is a handy infographic that pictoraly explains what to expect when working with AT° Design Studio on your next project.